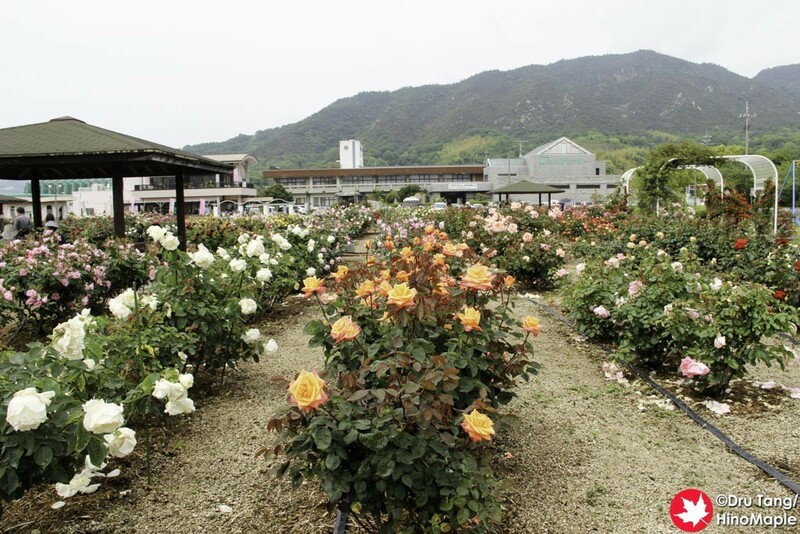 The Yoshiumi Rose Garden, also goes by Yoshiumi Rose Kan, is a large and expansive rose garden next to the coast of Oshima. 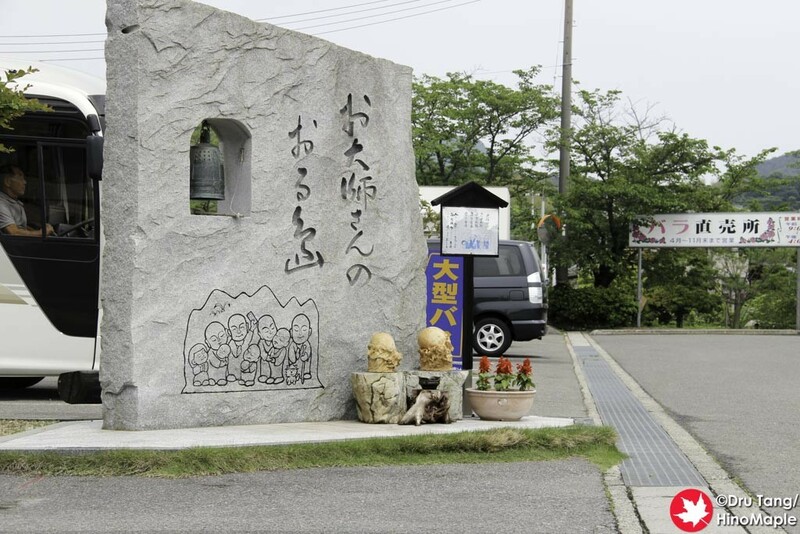 It is a mad house on the weekend and it is a very popular tourist destination. When I visited, just after noon, on a Saturday, it was very crowded, and I really couldn’t enjoy it as much as I would have liked. It suffered from being very popular and I couldn’t enjoy the place to myself. I guess I am selfish that way but I still think it is a very nice place. 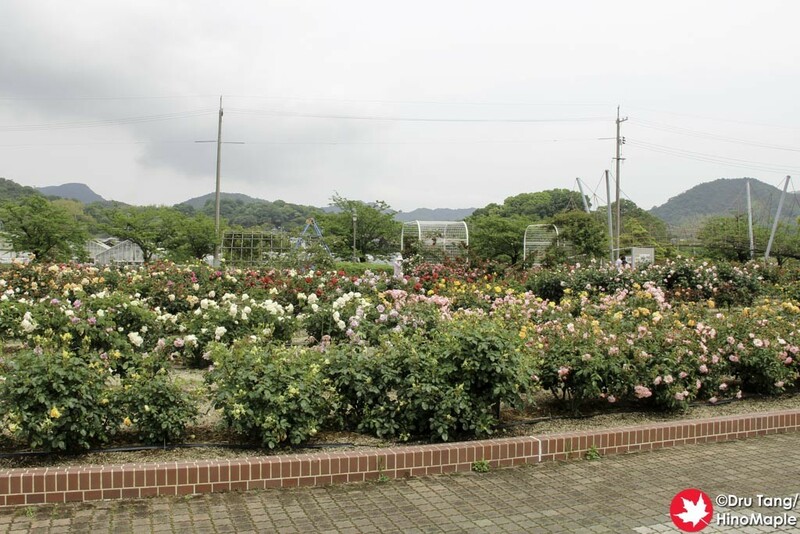 Finding the Yoshiumi Rose Garden was not as easy as I thought it would have been. 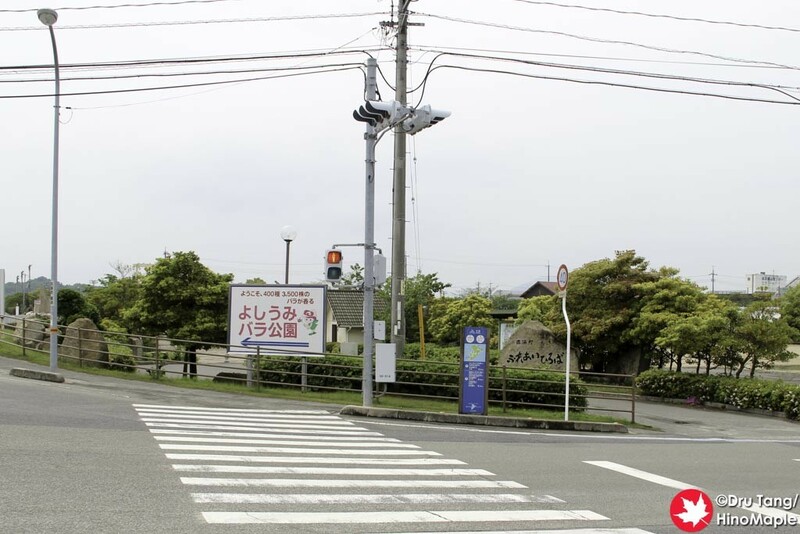 I second guessed myself several times on my journey until my friend found the small sign telling us to turn off the main cycling road. We headed up a small access road with few to no cars on it before we came upon the garden itself. The garden is pretty big and takes time to walk through everything. The parking lot is a little small overall but there is lots of bicycle parking so we didn’t have to worry about that. If you come by car, you may need to worry about finding a space. Once we got there, we got off our bikes and started to look around. My first priority was to get ice cream. I wanted the rose flavoured ice cream and got in line. Unfortunately the line was about 5 deep and everyone was taking forever to decide. When you have old people who can’t get their money out and young kids who need 10 minutes to decide, you just give up. I made my way into the rose garden for a few minutes before returning to a similarly long line but went to the side where things were a lot faster. 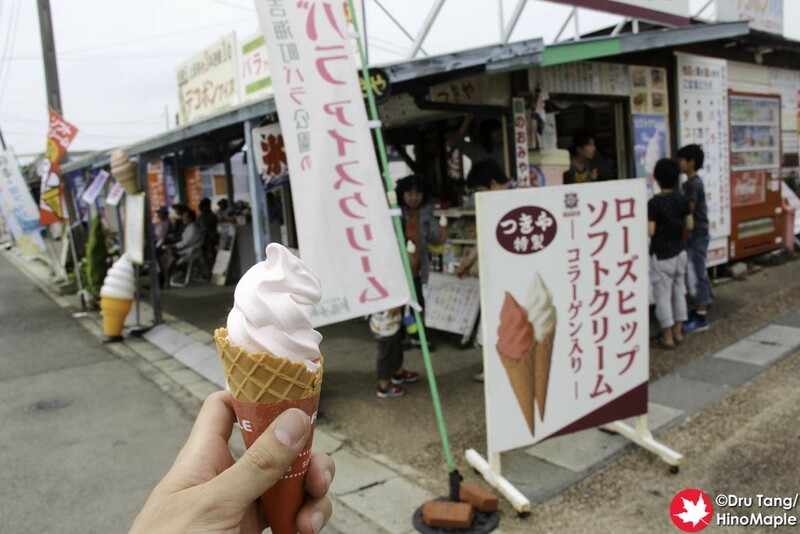 The rose ice cream was good and it was a good way to just relax on a sunny afternoon. 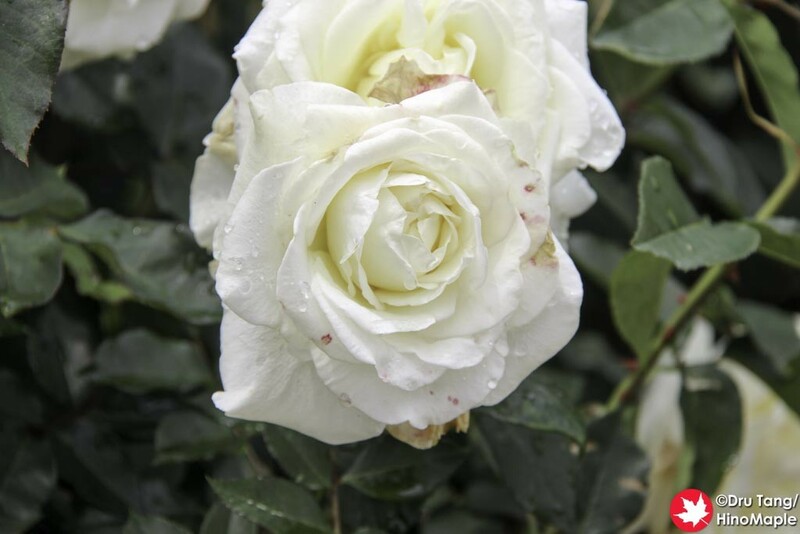 I headed into the rose garden with my ice cream to just enjoy the roses and my ice cream. The area was full of old people and some families and it felt as if there were 3 tour buses just waiting in the area. It was a bit crazy trying to get photos with few people in it but I managed to get a couple of photos. 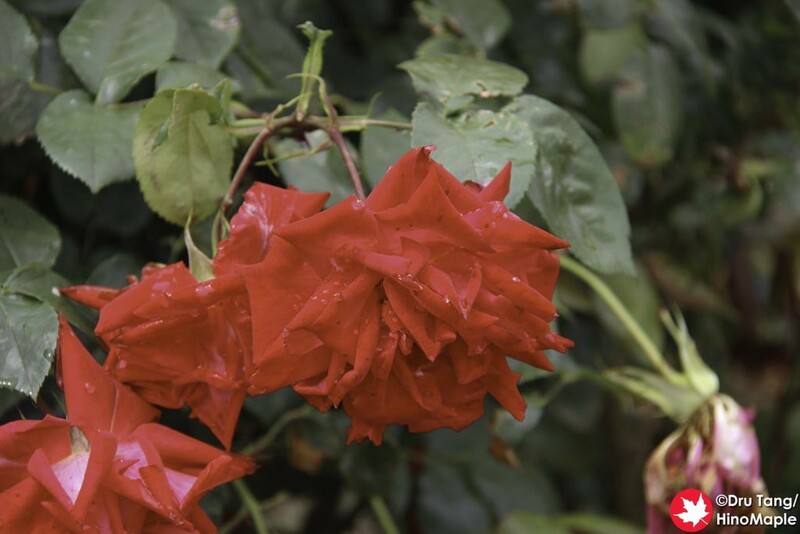 There were dozens, if not hundreds, of different roses in the garden. 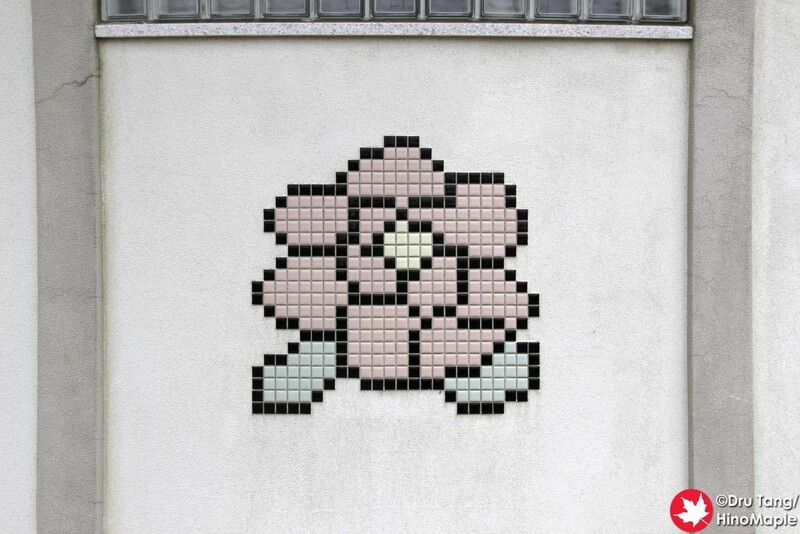 Everywhere you looked the roses were blooming. I was lucky to get there at the height of the rose season. 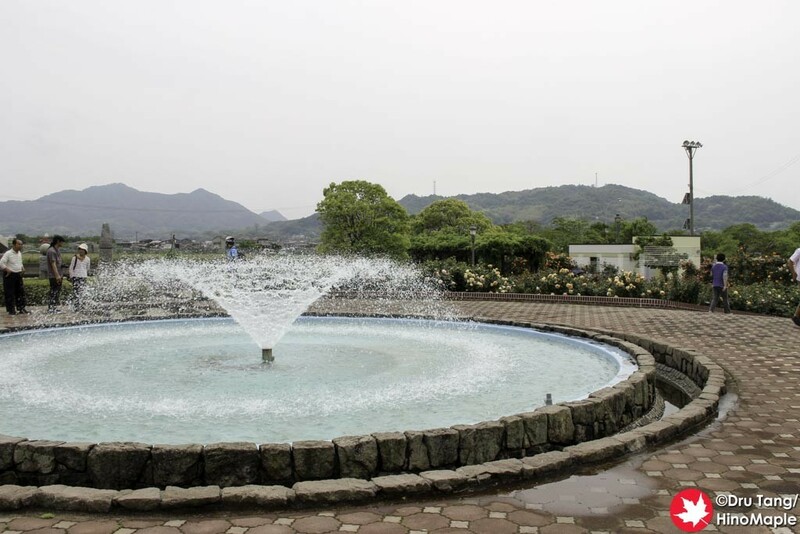 The main figure of the entire garden is the fountain. There is a beautiful fountain that kept drawing your attention. There were a lot of other things to the side but I just wasn’t interested in it as I was only interested in the flowers and my ice cream. 😉 I would guess that going on a weekday would be a lot better as the crowds would be less but you have to do with what you have. When I was leaving, I had a bit of a difficult time to get out. For some reason there was some confusion as to how a car would get out as a bus was trying to park. Basically, the car wanted to leave but the bus was trying to park in the same spot. If the bus parked, the car would be boxed in. If I was in a car, I would have to wait forever to get out, but thankfully with a bicycle I just maneuvered around them and off I went. 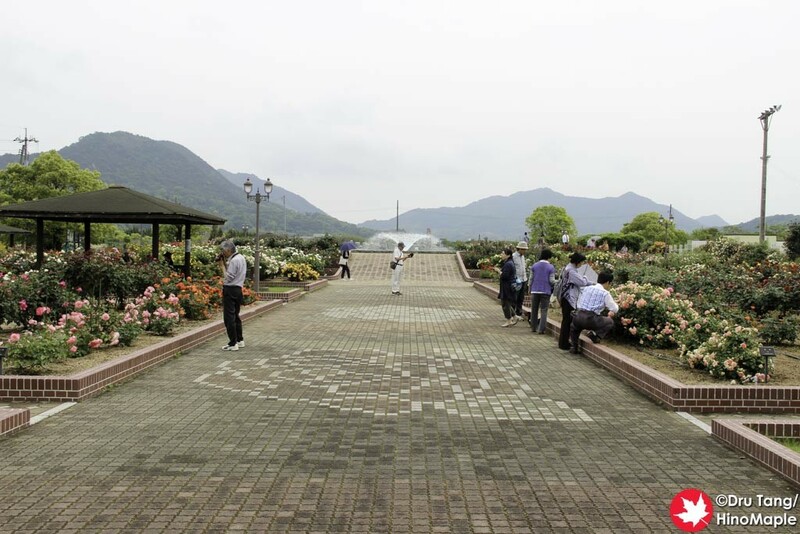 The Yoshiumi Rose Garden is a good place to visit but you just have to beware of the crowds. If you are like me and want to avoid the crowds when going on a rural vacation, you might not enjoy this place. It might be better on weekdays but also be aware that it won’t be as nice if the roses aren’t blooming. The smell of the roses was very enticing and I hope to go back again when they aren’t so busy. 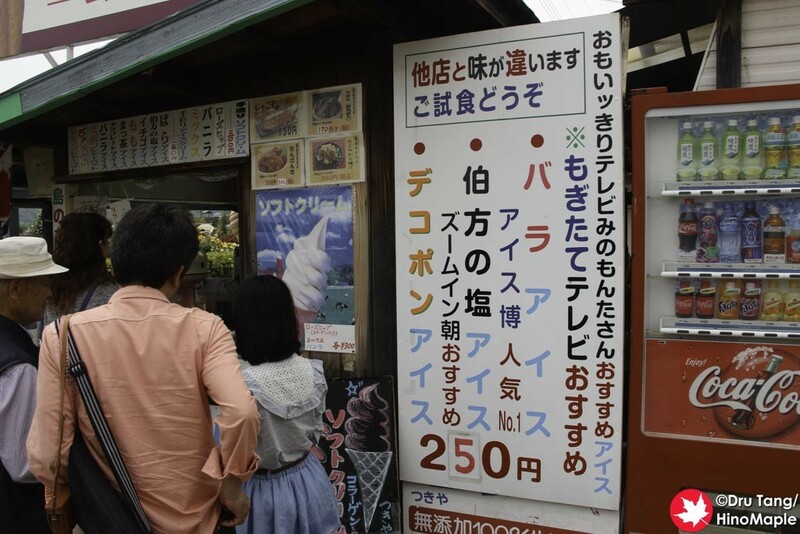 This entry was posted in Shikoku and tagged ice cream, japan, Oshima, rose, rose garden, Rose Ice Cream, Rose Park, Shimanami Kaido, Shimanamikaido, Yoshiumi, Yoshiumi Rose Garden by Dru. Bookmark the permalink.